It's the Grand Opening of our new online Web Shoppe. 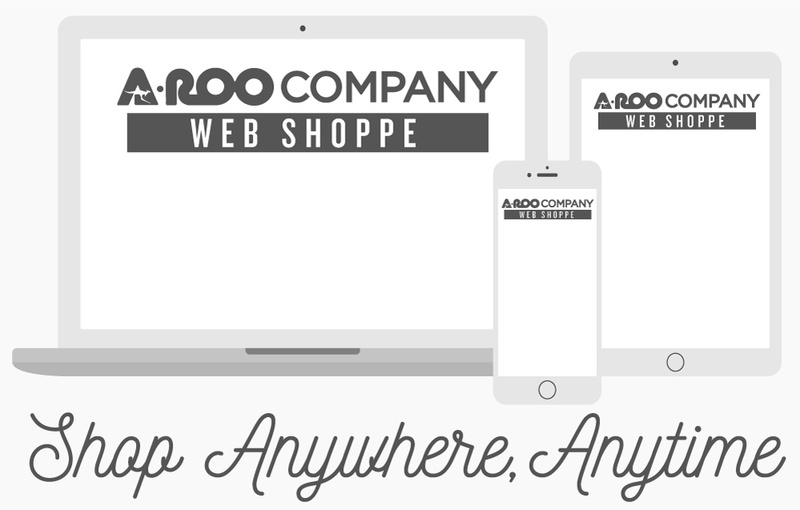 We've made it easier than ever to order from A-ROO Company. Quickly and securely order select items online and have them shipped directly to you! We have two special anniversaries to celebrate this year – first, A-ROO Company is turning 50; and our manufacturing division, Western Reserve Sleeve, Inc., will be celebrating 25-years of manufacturing. A-ROO Company is the leader in conical-shaped plastic film packaging. We have the most comprehensive selection of standard floral packaging, plant packaging and food packaging products and accessories available. All of our products are available for immediate shipment from our four US Service-Centers. We also distribute many other unique packaging items and accessories in addition to those that we manufacture. As the exclusive distributor in both North and South America for many highly talented international manufacturers, A-ROO is truly a global provider of the very best in floral packaging.